We present to you a quartet of volunteers for recognition and appreciation. The quartet, comprised of able leader, Fred Petrazio, and his helpers, Julie Bennett, Mary Ann King, and Alice Wilder-Lauff, stock, maintain, and disburse food from the St. Vincent de Paul pantry. Every Thursday since last October the Pantry has been "open" between 11 am and 2 pm. This system has worked out much better than having folks stop by at any time during the week, and it helps relieve church staff of having to give out food boxes during their working hours. By the time the pantry 'opens' at 11 am, an incredible amount of work has been done. These folks come in very early that morning to fill the food boxes that are given out. Fred drives his truck (which he loves to do) to MANNA to pick up bulk food. Upon return, all that food must be shelved and/or refrigerated. Then the boxes get filled and transported to JXXIII for distribution. They keep the pantry goods stocked and rotated, and the refrigerators and freezers clean. When pantry hours are over for the day, any food left in JXXIII must be transported back to the pantry. You might think the work would be over at that point. It's not... There is a good bit of paperwork that goes along with maintaining the pantry, for both SVDP purposes and reports that must go to MANNA. Fred and his team are like a well-oiled machine. They work so well together, sharing the work load and enjoying each other's company. His crew is so efficient that when Fred was away for three weeks they took care of everything. If you are ever in the church on Thursday, take a look down D hall to see the action. You will see this team of volunteers in action, cheerfully preparing food boxes and going up and down the hall all morning long. Never a cross word, never a complaint. In fact even now, several months later, they bring the same enthusiasm to their Thursday work that they did when they first started. We are so blessed to have such caring, hard working Vincentians among us. And we are blessed to have our parishioners who are so supportive of our work. Dana and Paulette are two of the most widely known and loved people in our parish! How did that happen? 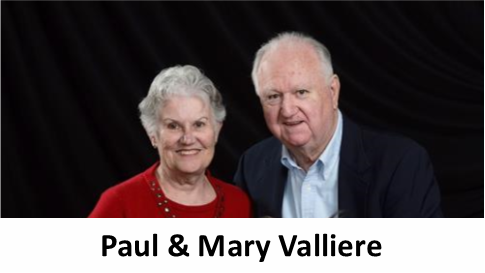 It happened because they are two of the most active people in our parish, serving all of us. 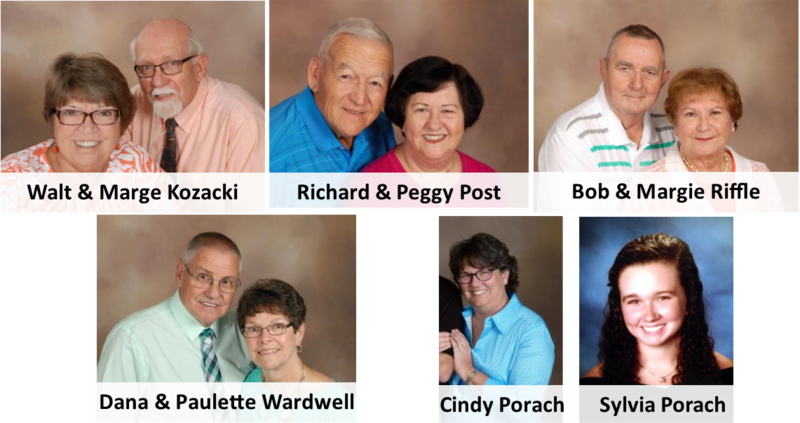 Whether it be as greeters, Extraordinary Ministers, Sacristans, volunteers for Parish Life events, or helpers with Funeral Luncheons (to mention some of their activities), Dana and Paulette have been there and done that! Our recent Parish Picture Directory happened because Dana, with Paulette's help, stepped up to tackle the task. It involved many, many hours of scheduling, checking in people for photo sessions, taking photos of parish groups, and doing layout of the directory for printing. We owe them a huge debt of gratitude for making it happen. Dana and Paulette, we offer you a great big thanks for all you have done, and all we know you will do in the years to come! The Parish Life of our church consists of our activities that we hold for the enjoyment and fellowship of our parishioners, in short, the things we do for fun! These activities include our annual Parish Picnic, the Epiphany Potluck, and the Father/Daughter Dance. There is a great deal of work that goes into executing these events, including planning activities, meals, decorations, etc. Such planning requires people that can organize and execute, and that is where Jo Landreth and Bridget Babcock come in. For the last couple of years, in the absence of a Parish Life Commission Head, Jo and Bridget have made sure that our main Parish Life activities still happen! Of course they have help from our parishioners in the setup and cleanup of our activities, for example, but they steer the boat, and what a good crew they make! Many thanks to Jo and Bridget for their contributions to the fun part of our parish life!